Greg's Text | FREE DEAL: College Students, Faculty & Staff: FREE 6 Month Amazon Prime Membership ($39 Value)! FREE DEAL: College Students, Faculty & Staff: FREE 6 Month Amazon Prime Membership ($39 Value)! Must have a valid .edu email address to redeem. Offer only valid once per email address. You will receive an email to complete the sign up process. 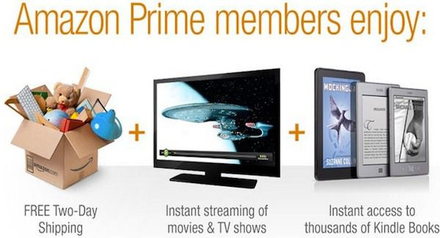 Get a FREE 6 Month Membership to Amazon Student Prime ($39 Value)! Please make sure you sign up using your .edu email address!